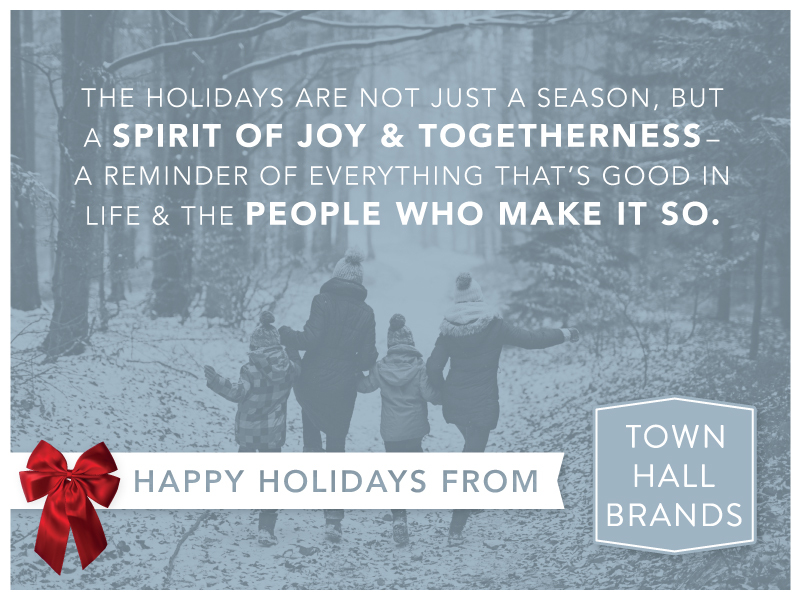 As we close off the year, we thank you for your continuing support of Town Hall Brands throughout 2017. Our entire team wishes you all the timeless treasures of the holiday season: the warmth of home, the love of family, and the company of good friends. We look forward to working with you and seeing you in 2018. Warm regards from the team: Leeann, Andrew, Amy, Felicia, Genevieve, Grace, Laurisha, Maddie, Whitney, and Garnet (the office dog).